Why is PR important, when do I need it, and how much will it cost me? 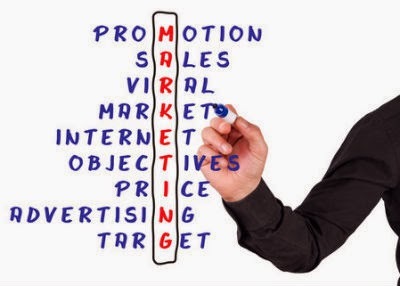 Unlike paying for advertisements in the traditional sense, Public Relations or "PR" is the process of "brand development" and "brand awareness" through a process known as "earned media". Earned media has been apart of public relations for years. When you hear or see a specific brand in a news broadcast, mentioned in magazine articles, mentioned on radio shows, and/or blogs, it was earned placement. It's a lot different than purchasing an ad, because this type of placement wasn't paid for, but strategically placed so it could be seen by members of the press and media. As a result, your brand is then placed in the public eye. Once your brand reaches the radio as a story, reaches the newspaper, featured in a magazine or blog, or is featured on a television program, that becomes known as "earned distribution". Without PR, these branding opportunities rarely present itself...if at all. From just starting out to well recognized public figures, you need a PR agent to represent you to help make your brand known to the public. Once the public becomes familiar with your brand, your brand is introduced into the social media realm, where countless people share your brand with family, friends, and co-workers, also known as "trends" or "grass roots action". This is the intent behind PR and why it is important for brand development. PR can lead to name recognition, which also leads to sales and paid opportunities, like casting in major film, song placements, product placement, paid performances, appearances, and investment opportunities. When do I need PR? It does not matter how new or seasoned you are in the industry, PR is continually needed for a variety of reasons including but not limited to: announce the release of a new product, service, a book, an album, a new single, a new music video, announce a concert or tour, publicize an event involving the artist or label, announce a nomination or winning of an award or contest, offer newsworthy items that would be appealing to the media, writing bios, press kits, announcing an actor in a TV or film roll, or the launching of a new acquisition. PR agents will work with managers, talent agents, record label executives, and A&R reps to go over marketing strategies, and radio promotion plans. Publicists can also be utilized to prepare speeches, managing social media content, preparing visuals used for videos, critiquing songs, story ideas, selecting marketing materials, event coordination, organizing events, booking red carpet appearances, set up interviews, and TV appearances. PR company fees will vary on a variety of conditions - size of company, level of service, exclusivity, and duration of contract. PR agents hold many titles, but are not limited to Director of Public Relations/Public Affairs, PR Manager/Specialist, Speech Writer, Communications Editor/Writer/Manager full-time, or Technical Writers. Hiring your own PR person, you can expect to pay a salary ranging from $30,000 to $100,000 per year or more. 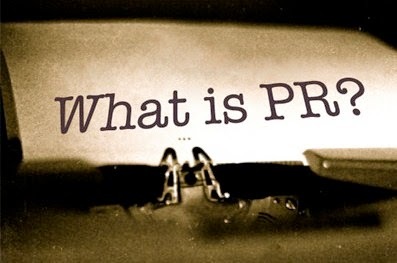 What exactly does a PR company or agent do? Press Releases (news announcements): 10 hours to write and distribute a single Press Release to approximately 100 of the appropriate media outlets. Featured Articles and Case Studies: A 1,500 word article or case study will take between 20 to 30 hours to research and creatively write a relevant news worthy topic. Media Tour (Set aside 50-72 hours or more for this kind of project): This can include travel time to tour with a music artist or with the company's account executive to personally accompany a Press Conference, book signing, CD release party, or Trade Show to promote the company's product or service. Trade shows (included in Media Touring budget): Often times, a PR agency does not need to be present, but it is a good idea to have a PR agent direct media to the appropriate booth at a trade show to oversee interviews and/or meetings take place at the allotted times. Newsletters: Unlike a Press Release, a newsletter is distributed to customer subscribers and are written in a more relaxed writing style. However, newsletters are more frequent and are typically scheduled for weekly, monthly, or quarterly. Newsletters require about 30 hours of writing time and 10 hours of copy editing, graphic design, printing time, and distribution time. For exclusive in-house PR, all of these services add up to a minimum budget time of 160 to 192 hours per month. Some of these services can be mixed, matched, and adjusted depending on each individual project. Hiring a PR company for single small projects can range from $1,500 to $4,500 a month, depending on the project and projected work hours invested per month, and cost of advertising. For a music artist, a single song, album release, or music video release campaign may cost $750 to $1,500 per month. This includes the cost of basic Press Release distribution, social media marketing, and event promotion. Budget time per month is typically 15-20 hours.